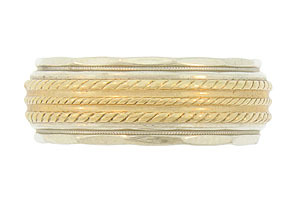 A triple strand of twisted 14K yellow gold presses into the white gold face of this estate wedding band. 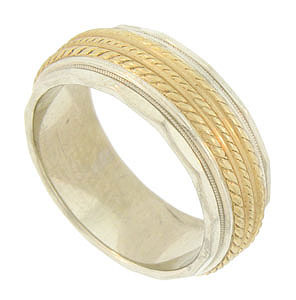 Impressed milgrain and scalloped edging adorns the white gold band. 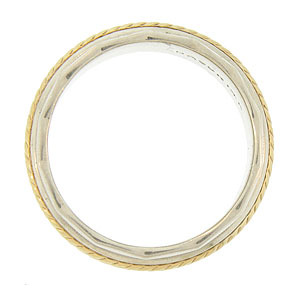 The modern wedding ring measures 7.12 mm in width. Circa: 1980. Size 6. We cannot re-size.